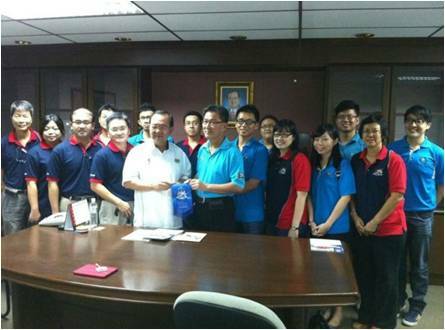 On 14th April 2013, Institute of Engineer Malaysia (IEM) Miri Branch together with Young Engineer Section (YES) held a courtesy visit to the current Minister of Energy, Green Technology and Water, YB Dato’ Sri Peter Chin Fah Kui at SUPP office. 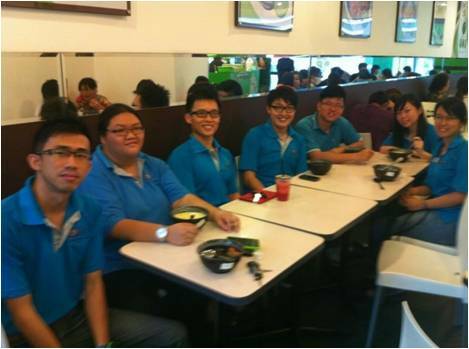 The team was represented by nine Excom from IEM Miri and seven committee members of YES. The team was warmly greeted by YB Dato Sri and his office as this had been the second consecutive years of such courtesy call to strengthen the rapport between IEM YES and our government representative. This visit also provides an opportunity for YES to share on some highlights and contribution of YES to the young engineers and society of Miri. YB Dato Sri also managed to shed some lights on the activities YES carried out throughout 2012. YB Dato Sri emphasized his concern on a group of young early leavers who fall in between student and engineers. This group of individuals include young SPM and diploma graduates who left their education behind and ventured into early employment. YB Dato Sri felt that this group of people are regularly left out in government funding and programs. With this, he is interested to work with IEM YES to reach out to this group of individual in terms of any programs, courses or activities which could benefits them in their work life or career. Figure beside shows YES representative presenting YES activities for 2012 and expectation for 2013 to YB Dato Sri Peter Chin. 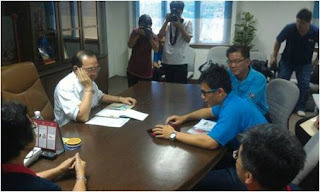 IEM Miri branch chairman Ir. Goh Soon Boon looks on. Figure on right shows YES on a social outing after the visit to mingle among committee members. At the same time, the members took opportunity to discuss about upcoming and future activities.